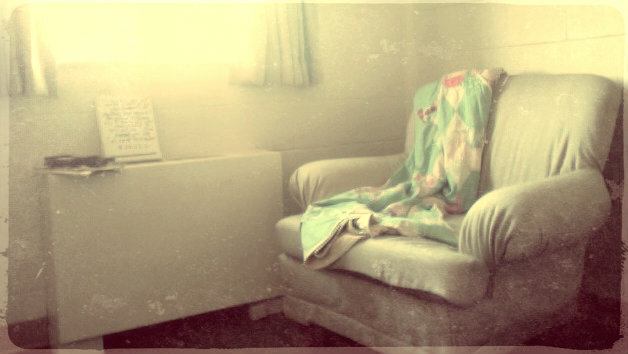 ...you're sitting in your big comfy chair, alone in the solace of your living room, reflecting back on your life. Yes, you are sitting still. What a deviant concept. You're wondering where the time has gone and what you have to show for the years you've put in. If you've made it this far, you're at least half way through your life, probably more. You're not in your prime anymore; you don't understand the new generation with its advancing technologies, evolving cultures, and disagreeable new ways of thinking. You have a lingering sense of nostalgia for the way things used to be. Back when you were young, when you felt like you understood the world a little better, you thought you had so much of your life ahead of you, so much to offer that the world desperately needed. Yet, you are now forty years older than that day long ago when you read this for the first time. In comparison, you're not the same person anymore. Thinking back, there are so many things you wish you could go back to tell yourself. You have learned so much, but at such tremendous cost. What is it that you would like to tell yourself, forty years younger? You would say many things. You shouldn't have been caught up in the monotony of everyday living, because that was not truly life. Life began when you realized the little things shaped you, recreated you, and determined your destiny. You needed to take a Sabbath. Not just a Sunday ritual but at least one day set aside to be at peace with yourself and separate from the responsibilities of the world. There are so many things you could've advised! You should've stopped and played more. You didn't need to measure your value by the things you were able to accomplish in a day, in a week, or in a year. No one cares what you did forty years ago. You realize now that life is not a destination. You should've repeated that, over and over. Life is not a destination. Life is not a destination. Life is not a destination. Life is...a journey. Never mind the cliche, it is truth. Why did you try to rush through it? You were not racing. What if you had thought more of the small picture? When you were young you had big ideals and goals. You didn't see the small needs of others. You did not notice the wandering souls, floundering in their own insecurities, desperate for a confident mentor and friend. You could have been that person for them. Even if you could only change one life, that one life was eternal and infinitely precious. You couldn't see the small needs of love and the starving hearts for someone--anyone--to believe they could make it, that they were worth something, that they were truly appreciated and accepted. Why didn't you look for what others tried to hide? You were chasing after dreams back then. Perhaps you needed to. You needed to discover that problems are problems, no matter where you live with them. Issues can't be resolved in new and different circumstances, you needed to be honest with yourself and accept that you cannot do everything and be anyone. You shouldn't have tried to run away from the mediocracy of yourself. You feared you were forgettable, unmemorable. God forbid: you were average. Why were you concerned with whether you were an important person in life? Rather, you should have focused on whether you inspired people to remember, or rediscover who they were, who they could have become, and the beautiful reality that there is a greater Hope outside of themselves and the mundane. You were not memorable, but did your life reflect the One who is? Fame, recognition, and prestige could not satisfy you, even if you did find them. Maintaining a busy lifestyle forever did not make the pain of loneliness go away. Facing your problems and dealing with them was not desirable, yet always necessary. When you came to terms with the things that hurt you deepest, and sought help in other people, you found healing for your soul. When you didn't try to block yourself off, and willed yourself to rely on others, you felt consolation. You found true companionship when you gave other people the power to hurt you. Forty years from now you will flip your calendar and see the date, November 9, 2052. You will not remember this. You will have completely forgotten what you read those many years ago. If you are alive, no matter where you end up, no matter what you've done, at the end of it all, may you say with deep satisfaction you still have a long way to go, thank God. Seeking the Kingdom begins on earth but certainly doesn't end here. I think this very well may be my favorite of all you've written Danae. Words for the heart, rather than the head. Hope these thoughts linger... Thank you.